Lahcen our trusted guide, companion, and friend for the 21 days we spent in Morocco. Let me preface this by saying that I despise tours. I’ve been on so many trips and looked on in pity at the coachloads of badge wearing people being herded around by obnoxious umbrella wielding guides. Driven from one touristy location to the next and only given short periods of time at each stop. An absolute nightmare for someone like me who prefers to spend my valuable vacation days in out of the way places, hanging out where the locals do and being able to stop on a dime to get that great photo. On the contrary, these tours only stop at destinations they deem interesting or that are so touristy in nature there are hoards of other coaches at the same stop. Most times, they have contracted with the hotels and restaurants in the given destination and you have no choice of where you will stay or eat. My research has led me to believe that most often these aren’t 4-5 star properties (sometimes not even 3 stars) and that the restaurant quality isn’t that great either. All of that being said, when planning and researching a recent trip to Morocco, my views on guided tours changed considerably. It began as with any other trip I plan by looking on TripAdvisor for places to stay in each of the stops “I” had chosen. (the only exception being when we are using Airbnb or VRBO which I am quite loyal to and use more than hotels). 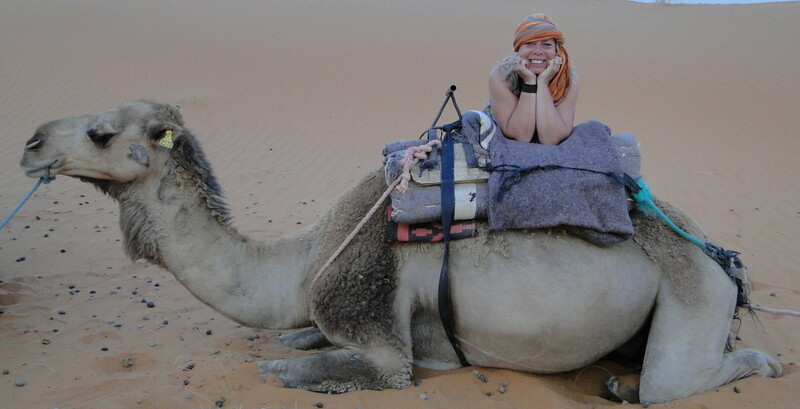 Anyhoo…..one single thing kept coming up and that was the glowing reviews of Around Morocco Tours. Much different than a coach tour, Around Morocco Tours offered a one on one tailor made experience. I was intrigued…the real draw for me being that we had a pretty extensive countrywide itinerary and would be four women traveling alone in a Muslim country where we didn’t understand the language. 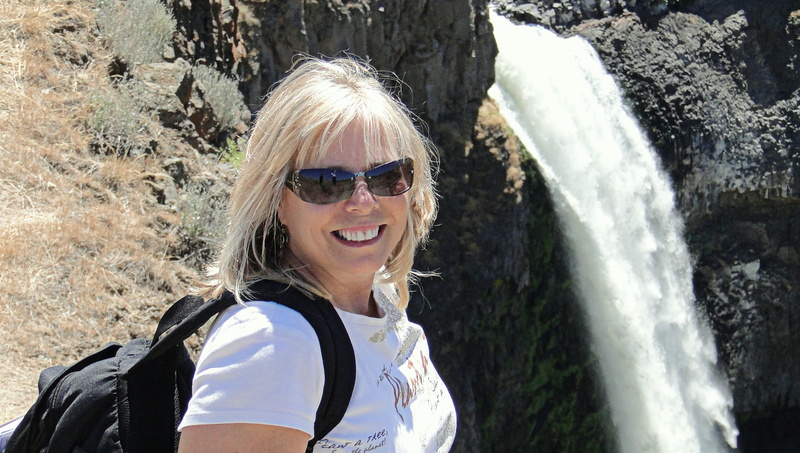 I’m not easily intimidated or afraid of traveling to other parts of the world, but having a guide who would be with us the entire time could be quite comforting. I was pretty sure though that a personal guide would never be in the budget. After a few email exchanges, much to my surprise, it was so absolutely affordable that I felt we’d be stupid not to hire them. So the planning began and, thanks to modern technology, communication was easy, fast, and efficient. Now I’m not saying that every experience with a personal guide leads to a happy ending, but what I am saying is that I am certainly now more open to the idea especially in areas of the world where things like language, transportation, and overall safety may be of concern. And, in this case, I am pleased to report a truly happy ending and our decision to hire a guide and the services provided by him were priceless. First and foremost was the fact that he was a local and seemed to know just about everyone everywhere we went. Spending time with him daily also gave us the ability to learn about the culture first hand from someone who lived it. Secondly, pleasing us seemed to be his main concern and he took us to places and provided us with experiences that we never would have had if we were simply traveling on our own. On the flipside, he was also very respectful of our privacy and, once at our destination, gave recommendations of where to go (and not go), the best places to eat, shop, etc. and then gave us the option of exploring on our own. There was also the added security of always knowing where we were going (or at least looking like it) and we felt much less likely to be heckled. robbed or pickpocketed with our guide by our side. During trips to the local markets or souks, harrassment was non-existent when with him versus when we were out alone and when we were interested in purchasing something, he was able to negotiate on our behalf leaving us feeling confident we were not being taken advantage of. This was also true for our overnight trip in the Sahara Desert. First and foremost, no one should head out into the vast Sahara on their own–a death wish for sure. We hired our brilliant camel guide Ahkmed who led us five miles out to a desert oasis not to be believed! To this day, I’m in awe of how he knew the way to our camp and then the way back the following day after the sand had blown and shifted into a completely different landscape. Not one single footprint left to follow from the day prior. On a sidenote about letting go of fear and giving trust to a total stranger, Ahkmed could quite literally have bludgeoned us to death in the night and no one would have seen or heard a thing. Instead, we set our fears aside and put our lives in his hands and in return he gave us the most unforgettable experience we have had to date. Below are some tips on what you should look for in a guide and a few websites to help you begin your search. You can read about our entire Moroccan adventure by searching for it on the blog section of this website. A good tour guide will have been living in the region for some time because they chose to. They may have grown up there and never wanted to leave, or they may be foreigners themselves and found the region you’re visiting and became a local. Either way, there’s a reason they are where they are and doing what they do – it’s because they love the area, they know the area, and they like sharing it with others. Just remember while a travel guide is especially helpful when you don’t know the local language, the common language of smiling and knowing a few basic words and phrases will get a traveler pretty darn far too. Be sure to also look for someone who responds quickly to your initial inquiry and requests for information. This is an indication of how they run their business and their dedication to customer service. They should also be able to be slightly flexible should you want to change up the itinerary a bit. Lastly, and probably most importantly, seek out honest reviews from past customers. I found ours through TripAdvisor but the sites below are also available. Remember however to always take most reviews with a grain of salt and go by the majority. Some people are just complainers by nature and are never happy. Rent-A-Guide has one of the biggest networks when it comes to pre-packaged tours given by private guides. They offer more than 5600 tours in 81 counties. And Rent-A-Guide is not a mere repository. It is a booking website which provides an end to end experience. So you can book a tour from the site without worrying too much about any wrongdoings. If you do run into any problems, the customer support is happy to help. Shiroube is one the bigger local travel sites. It not only offers guides for different places but sorts them out according to interests as well. Shiroube’s network spans more than 3000 cities. Search for a place and the website will list all the guides in its database. You can see their information, what languages they speak, how much they charge and most importantly, what activities they offer. You can mail a guide directly from this page and get a conversation going. The websites listed here are trustworthy but you can never be too safe. Always ask for proper identification before dealing with a guide from a place you have never been to. You should also ask for a guide license (especially in countries where corruption is rampant). Some websites ask for a deposit before booking the time slot. Make sure it is just a token amount and nothing more. Never agree for a full payment beforehand. Lastly, make sure you tip your guide well if you are happy with his services. Most work for peanuts by our salary standards and rely on tips to supplement their income and support their families. Best decision we made was to hire a guide for our trip. Traveling with a local adds a personal at home feel to a visit! Hello, I just read your article and i agree, hiring a guide is the the best decision.